[one_half]There are few people striving to become successful who do not become acquainted with Napoleon Hill and his book Think and Grow Rich. Some are aware of his book The Law of Success. Even fewer know there are two versions of The Law of Success. One was written in 1925 and distributed by means of a series of small booklets. The other one, published in 1928, was a greatly edited version of the 1925 edition. Think and Grow Rich is actually a much edited version of the 1928 edition of The Law of Success. Why is this important to you? The story goes that when Hill distributed the few copies of the results of his 20 year endeavor commissioned, but paid only travel expenses, by Andrew Carnegie, some of those he interviewed were horrified at what he had published. The story goes that they, especially Henry Ford, wanted the project squashed. These few men, and they were men, did not want the mass population to know the true secrets of acquiring wealth. The researcher spent 20+ years interviewing the wealthiest people for the project of writing a new philosophy that anyone could follow. 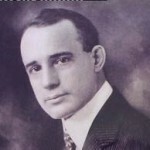 As I’ve roamed the internet learning more about Napoleon Hill, I’ve discovered that many people question him and his philosophy because he did not die as financially wealthy as did Andrew Carnegie, one of the primary men who established the steel industry in the United States. It appears that most of the population believes that wealth refers only to financial riches. There is little realization that the term for Napoleon Hill meant much more than that. He states what he calls “my greatest riches” at the end of the preface of The Law of Success. His goal was to[/one_half] [one_half_last] assist people in achieving self-satisfaction on the deepest level. He wanted people to feel fulfilled. He wanted them to discover who they were, what they needed to be happy and then to accomplish that happiness. Andrew Carnegie wanted Hill to be a greater success than he was, one of the wealthiest, if not the wealthiest, men of his time. Napoleon Hill states in The Law of Success that he believes he accomplished this. His standard was not in his bank account. His standard was that, by his writings, he made more millionaires than did Andrew Carnegie. His writings also helped millions of people come to know and take responsibility for themselves. He assisted millions in becoming successful as measured by their own standard. [one_half]Lately I’ve been working on a number of writing projects. Some are metaphysical in nature, another is a novel with its seeds in what I do with spirit release, and yet another is joining Napoleon Hill, who died in 1970, in a project. He’s already completed his part which is Think and Grow Rich. What I’m doing is taking the knowledge and skills I’ve gained over my 35+ years as a therapist and suggesting exercises at the end of each chapter to integrate his concepts. We’ve learned a great deal about the mind and all its levels (conscious, sub-conscious, sub-sub-conscious, super conscious, super super conscious) since Hill published his books. I’m applying our (as in the people of the world) new knowledge so that people can get beyond the blocks to achieving what they want which are located, maybe even locked, deep in the subconscious mind. If you’re not familiar with Think and Grow Rich, think of it as a precursor to the book The Secret. Hill took on the task and interviewed hundreds of wealthy folks, probably all men since they’re the ones who made money in the late 19th and early 20th century. He did this over the course of 20 years with the purpose of discovering commonalities between these wealthy folks. By the way, these were people who amassed their wealth themselves, not those who were born into wealth. For instance, he would have interviewed Sam Walton, before he died of course, not his children. [/one_half] [one_half_last]Think and Grow Rich is the most well-known of his books. He also wrote The Law of Success. From the research I’ve done, Think and Grow Rich is a distillation of The Law of Success and the latter book has a 1928 version which is a distillation of the 1925 version. I’m sure I’ll be reflecting more on these three books as I continue my work, but, for now, I won’t say anything else about The Law of Success. You might be saying, “Oh, come on, Cathy, give us a hint.” My reply, “Let me read the two versions first and then compare with Think and Grow Rich.” Yep, I’m grinning as I write that. I’ve read Think and Grow Rich several times. The concepts within it may have been new to most people when first published in 1937. They aren’t anymore. The self-help era which began in the 1980s, motivational gurus and metaphysical teachers have taught the concepts for decades now. The Secret, which tells of a secret to abundance hidden for centuries, or so I’ve been told because I only skimmed the book, contains similar precepts as Think and Grow Rich. In short, traditional medicine views illness as something originating in the body. If you fix the ailing part then the body is fixed. Alternative medicine sees the illness or dis-ease as a symptom of what is happening in the mental, emotional or spiritual bodies, also known as the energy bodies. I’m working with some folks who are addressing their life-threatening physical problems. One is doing so totally from alternative means. The other is using a combination of allopathic and alternative. I’m providing one aspect of the alternative modalities for both. Because of my belief that physical problems are a direct result of mental, emotional and spiritual issues, I assist people in resolving these causes of their dis-ease. Whether people come see me in the office or we do the work over the phone I have a process I follow to assist them. The assessment. This is a conversation in which we identify the various feelings, beliefs and events in life which are manifesting themselves physically. You can do this for yourself right now. Simply make a list of what you worry about, what past events cause emotional pain when you recall them, who you don’t want to see, and what you want to change in your life. Your part. I then outline what you need to do for self-healing. If you are not actively involved in your healing you are not going to get better. I’m not talking about finding people to do it for you. I’m talking about doing your own work.The first healing [/one_half] [one_half_last]tool I introduce people to is the Soul Healing Prayer. (If you don’t have your own copy, go www.GroupDistanceHealing.com and sign up to receive it.) I ask them to use the prayer on three events, or more, per day every day. You can do that now. You also need to change what you can about what got you into your health crisis. Eat healthy foods, flood your body with good nutrition, detox your body, change the way you think and learn to manage your feelings. I also suggest people use guided imagery healing which assists in releasing the wounds of the past. When the energy holding in these wounds is released, the body has more energy to bring itself to wholeness. My part. I tap into the energy of the one who is ready to heal and do distance healing. The primary modalities I use are The BodyTalk System, PSYCH-KR and intuitive healing connecting to my spiritual healing team. I’m able to bring in supportive beliefs, identify and free areas of congested energy, and discover other areas you need to address. I work with them on the mental, emotional and spiritual aspect of their healing to free the energy trapped by those events allowing the body to self-heal. When working in the alternative or complementary healing area it’s important to understand the differing philosophies. Your traditional method of healing, what is technically called allopathic medicine, views the body as a complex conglomeration of parts that join together to make up the body. For them illness begins in the body. They also believe that if you fix the broken “part” then you fix the body. Alternative healing from the mind-body perspective, at least as I practice it, looks at the physical body as a system consisting of the physical and energetic bodies. The energy bodies are composed of the mental, emotional and spiritual bodies. When I work with people I see dis-ease beginning in the energy bodies, not the physical body. [one_half_last]If you believe the dis-ease of the physical body begins in the energy body, you work to bring the energy body into balance. The problems experienced in the physical body are only symptoms of what is happening in the energy bodies. Let’s take cancer as an example. When you go to an MD for cancer treatment he or she will prescribe chemotherapy, radiation, surgery or a combination of all three. Unless you are going to a holistic physician, the MD pays little if any attention to the mental, emotional or spiritual causes of the dis-ease. In fact, many MDs don’t believe there are any causes other than abnormal cell growth. Most don’t even pay attention to nutrition. When someone comes to me with cancer I first find out how they want to address this dis-ease. Whatever modality they choose, alternative, allopathic or a combination of both, doesn’t matter to me. I’ll support them in their choice. Once we discuss their choice, I then educate them about the importance of resolving the mental, emotional and spiritual triggers for what is happening in their body. We then get to work. When you have dis-ease, even if it has manifested in what people call disease, you look for what you can do to change the situation. That may seem like semantics, but it is crucial. The allopathic heath care system has trained people to look for something outside of themselves to fix physical problems called disease. It is a disease model. As explained in the post in part 1 of distance healing, the key to supporting the physical body in healing itself is to change what is happening inside of you… thoughts, feelings, hurts. That is the dis-ease which is resulting in the disease. You can change that dis-ease and bring your body to greater ease. This is done through healing. Let me give you an example from years ago when I was teaching Healing Touch. One of the participants in the class came to me at a break to ask if there was anything I could do about his knee. The doctor’s hadn’t been able to give him much relief except through pain medication. The next step was surgery. I invited him to lay down on the massage table and was going to do some energy balancing with him focusing on his knee. Intuitively, I was guided to have him communicate with his knee. This may [/one_half][one_half-last]seem strange if you’ve never done it before, but once you learn it is a powerful adjunct to your own healing journey. After asking him a few questions while he was bringing his attention to his knee, he recalled a memory. He was about 12, riding with his friends on bicycles. They were doing something they weren’t supposed to be doing. I didn’t ask what it was because I didn’t need to know more to guide him through the process. As he and his friends were speeding around a corner, his bike tire hit a rock and he went flying. Now, you tell me what 12-year old boy is going to cry in front of his friends when he falls off a bike? Not many, right? Although he wanted to cry, although he had been scared flying through the air for those brief seconds, he buried his feelings. He buried them there in his knee. His knee held the dis-ease of the event. Once he got in touch with the feelings trapped in his knee, I guided him through an easy process to release those feelings using his breath. The pain was gone when he got up from the table. He walked with greater ease than he had done in a couple of decades. I don’t know if his releasing the process healed the knee of all its physical problems. He may have had some physical damage to the knee. Let’s say he was diagnosed with arthritis. The arthritis is the disease. The feelings were the dis-ease. Dis-ease can lead to disease. When you release the dis-ease, you give your body the space it needs to heal. The disease is often on its way to healing. I want a place I can share my musings, to put myself out there. There are times I just want to write. This blog serves the purpose of me wanting to write. Sometimes I’ll publish something in which I first wrote as an article for various ezines. Other times I’ll just sit down and write. My plan is to send out notices once a week or so about new blog postings. I plan on writing more often than that. Mind-body health is a wide ranging field. Everything we think, everything we feel, everything we do affects our body in some way. I suppose that means I can write about anything I want. Of course, it being my blog, I can write about anything I want. There will be times I write about emotional and mental health. After all, that is what I’m trained in. I’m also trained in energy medicine using various modalities. My primary two are The BodyTalkSystem and PSYCH-K TM. Because I find both of them so powerful, I usually integrate them. Body Talk can balance the mind, body and spirit. It balances on all levels. Sometimes there is a belief in there which prevents your innate wisdom from allowing a particular balance. Let’s go back to the fear of success. Let’s say you have a belief that your family will disown you or not want to be with you because you actually succeed. They may think you are uppity. In some convoluted way you hold onto physical problems so you don’t have to face that possibility. When you balance the belief which holds the fear, innate wisdom then allows for the balancing of the body so you can be healthy. The two modalities are a powerful combination. I have received some amazing comments from people who have had truly healing results. Much fun… and I do love to have fun.